With steering or suspension component issues, you’ll be in for a rough ride even on an ordinary street. Your vehicle’s frame is attached to its wheels by an arrangement of shock absorbers, springs, and linkages that are meant to keep the ride smooth even when the road isn’t! When any part of your suspension weakens or fails, the other parts are forced to work beyond their original mechanical design. Regular suspension and front-end checks at 106 ST. Tire & Wheel can avoid costly problems that start out little and become major issues down the road. As with most mechanical things, we want to prevent failure of the system by replacing parts early. STEERING AND SUSPENSION wear will have a negative effect on your driving experience. 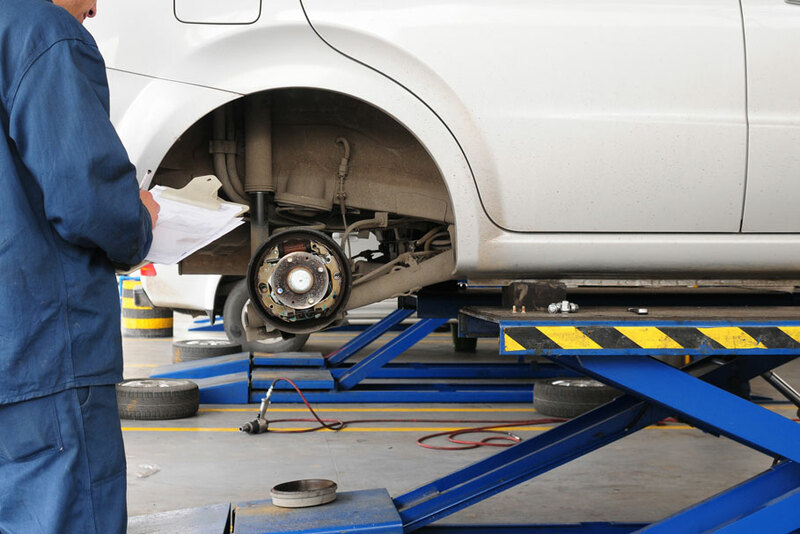 Handling problems like unusual movements over bumps or turns can mean you need a routine evaluation or perhaps some work which 106 St. Tire & Wheel’s experts are highly experienced with. For all of your suspension system repair needs, call us. We’re the local experts on the matter! Serving Mission Viejo, CA and surrounding areas, including Rancho Santo Margarita, Laguna Hills, Laguna Niguel, Dana Point, Laguna Beach, San Clemente, Lake Forest, Trabuco Canyon, and San Juan Capistrano.